Xelent Technologies (XT) is a customer-centric technology company focused on conceiving, developing and distributing customer-focused solutions to elite as well as small to mid-sized business that are serious about growing their business on internet. Xelent Technologies (XT) maintains the highest value and reliability rankings among its customers. We serve global enterprises through technology and services made possible by the open source model as well as proprietary technologies such as .NET and Java. We specialize in Website Design/Re-design, Animation and e-Learning, User Interface Designing, Web Application, Intranet Applications, Data Management, Data Scraping, Graphics & Print Design, Mobile/iPhone Applications, Online Marketing and Consulting. XT professional web design services are dedicated in optimizing and assisting Small/Medium sized businesses in getting the most reliable and responsive results from our designing expertise and thereby establishing their presence “with a difference” in the World Wide Web. We provide a smart blend of IT and intelligent professionals giving you required confidence to take on projects and delivering on-target, economical and quality solutions, leveraged upon the varying technology to benefit from. Internet has really diminished communication barriers between XT and overseas client and allows us to work with global clients with ease. Our communication process works efficiently with all type of projects and produce successful results. 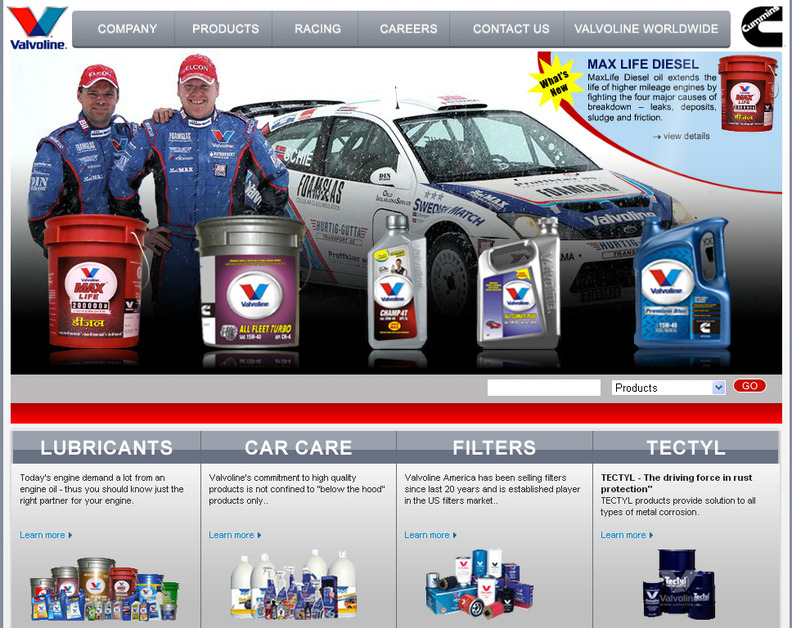 Screen shot from our latest homepage design for Valvoline Cummins Ltd.